It is possible that you will have a choice in when to take the Praxis and Praxis Subject Tests. Sometimes your school will give you guidance on this, but sometimes, you can choose. 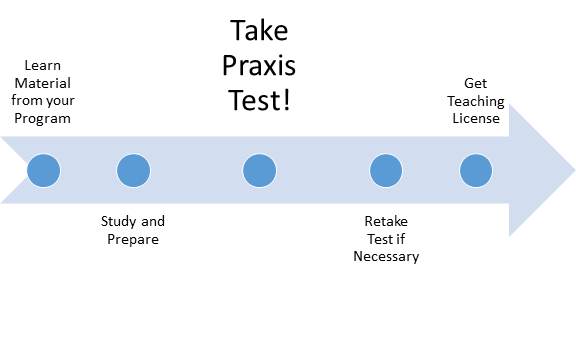 So, when should you take the Praxis tests? This applies to any Praxis test, be it the Praxis Core or Praxis Subject Tests. 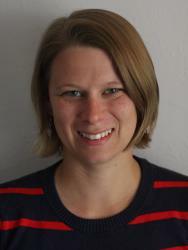 You will need the Praxis to get your teaching license so you need to have it before that. You want to make sure, though, that you have learned most of the material that you will be tested on. That means you will likely want to take it towards the end of your coursework. Taking the Praxis while you are still enrolled in school also has another advantage: you may qualify for a fee waiver! Not everyone passes the Praxis the first time. It’s no big deal to retake the Praxis (though you will have to pay again), but you want to make sure to have time to do it. Working backwards from the time you need to have your license in order to teach, you should have enough time for two test cycles. By test cycle, I mean: register, study, take the test, wait for your scores. You probably won’t need to study as much the second time around, but you will still need to complete the other steps. If you are really worried about passing, you can always give yourself time for three test cycles, just try not to take it so early that you haven’t learned everything yet! You probably want to have 4 to 8 weeks of study time before you take the Praxis. You can do this in the evenings while you are nearing the end of your coursework, if that works for your schedule. You can also figure out your own study plan! The important thing is not to leave out studying when you’re figuring out timing. Do I Need to Take the Praxis Core?